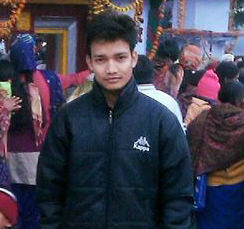 Uttarakhand News » Culture » How can we revive our regional dialects and culture which is dying slowly? To save and revive our culture and traditions, we should start from our home as family is the prime institution of the society. We should educate our children right from their childhood about our history, rich tradition and culture and promote them to speak our dialects. Further, we should try to always exercise and promote our culture & tradition. for those residing outside of Uttarakhand, it is suggested that they should visit regularly to their motherland during important functions, puja etc. so that a bond and sense of love with home would always remain alive in their hearts and they will be aware of all local traditions. We should always try to communicate in our local dialects like others do. often it is being observed that our new generation people those reside in big cities and towns hesitate in speaking our dialects. it is very shameful while others do not feel shame in speaking their own language then we can and should follow the same. we should feel proud of speaking our dialects and practice them in our daily lives. by following these little things, we would definitely be able to revive our dialects and culture. Thank You! और एक बात…. आज ज़्यादातर लोग सोश्ल साइट के माधयम से आपस में जुड़ चुके हैं भले ही वो गाँव में रहते हों या शहरों में तो खुद ही अगर आपस में अपनी लोकल भाषा बोली में वार्तालाप करें तो इससे भी काफी हद तक हमें अपनी लोकल भाषा को बचाने का मौका मिलेगा….और पर्व-त्योहारों और रस्मों-रिवाजों के बारे में भी समय समय पर जानकारी मिलने से काफी बदलाव आ सकता है। धन्यवाद ! Shehron me jo ghadwal sabha ya anya sabha sasthayen hain un me apne bujurgon ko samil karke apni sanskriti parmprawon ko jeevit rakha ja sakta hai, jese shadi me gaye jane wale mangal geet ki team tyar karyen or har gharwali shadi me unke dwara geet mangal snan, feron aadi par gaye jayen. Jis tarh ladyes sangeet par partiyan bulaaee jati hain or unhe pay kiya jata hai wase hi inko bi shadi me bulaya jaye or unko mehntana bi diya jaye. Dance floor par kuch gharwali geet dhamakedar dance partiyan hon to shadi ki ronak bi badhegi or sanskriti bi jinda rahegi.kuch tyohar ek hi jagah par gharwali sanskriti se manaye jayen to hum kafi had tak apne culture ko badhawa de sakte hain . Sabse phle toh bhale hi hum yhn cities m reh rhe hain…humein apni families k saath jb bhi mauka mile apne pahadon m ghumne zaroor jaana chahiye..apne bacchon ko pahadon ki mithaas se rubaru hone dena chahiye…! !hamari state govt. ko whn ache ache cultural festivals krane chahiye..! !yhn cities m bhi garhwal ko bachaane k liye festivals aur activities plan honi chahiye…aur sbse achi baat mere hisaab se jaise Punjabis ka bhangra night hota h, gujratis ka dandiya night..humari bhi dhol damau night honi chahiye..!! Aur jhn tk baat h bhasha bchane ki..phle toh poore uttarakhand m hr city m kam se kam 1 ya 2 libraries ausi honi chahiye jhn garhwali, kumaoni aur saari uttarakhandi bhashaon, ritiyon, humare dada dadiyon k puraane kargar nuskhe, humari dishes aur bhot kuch….in sb se judi baaton pr kitaabein ho..!! Humein apne uttarakhandi lok geet bhi sun ne chahiye…aur ji hn..atleast 1 news channel garhwali bhasha m bhi prasaarit hona chahiye…aur ho ske toh radio k maadhyam se bhi 1-2 channel aise hone chahiye jo pahadon m chl thi baaton, humare lok geet, aur humare uttarakhanfi samaj ko ek jut rkhne pr kendrit ho…!! Aur yeh toh bhot hi achi baat h ki apne pahad bhi ab bdhti technology se achoote nhi h..isliye digital media ki jitni ho ske utni madad leni chahiye..yeh humare prayaason ki raftaar doguni kr skta h..!! 2. There should be a day in UK schools once in a month or weekly when Sanskritic karya krum is celebrated to keep it up. 4. There must be programs in GarHwali language and sanskriti on the national level to aware Garhwalis all over India. 5. More Garhwali, Kumaoni and Jaunsari films should be made to show Uttarakhand and its sanskriti even tax-free. India is an extraordinary country with different cultures, languages and dialects. However it is losing its diversity due to the following reasons: 1. Globalization and cultural annexation lead to the vanishing of our regional dialects and culture. Though it enhances communication and development between the two cultures but it put a danger to the identity of country’s small cultural groups. 2. Globalization leads to economic development which negates the cultural & dialects diversity. 3. Migration is one of the root causes of the disappearance of our regional dialects and culture. To save our rich cultural and dialects heritage we must work fast and in positive direction. 4. The starting point must be the education system that needs some modification. In primary education, regional school boards must introduce courses that deal with regional dialects. English is quite prevalent in our education system. I agree that it is a language of modern culture in our country but regional dialects should be given more priority.In co-curricular activities, the students must be taught about their rich culture. 4. In jobs also, State Government must make it mandatory or preference should be given to people who speaks their regional dialects. 5. We cannot stop the migration as human wants a better standard of life.But people of the same region can form small groups that pass their culture and dialects to the new generation. 6. In India, many people feel shy in speaking their own regional dialect. This is quite prevalent in English speaking areas. Creating awareness is the only key to get rid of this fear and shyness. We should feel proud of our culture. The people and Government must work together to save and revive our culture and dialects.